I got married on May 16th!! It was wonderful and beautiful and amazing. I made my dress, veil, and petticoat. It's taking me a while to organize my thoughts and compose a blog post because I have so much to say and I don't even know where to begin. So in the meantime, I have an old project from last summer to share. 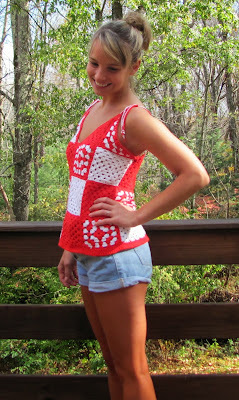 I finished this tank top last June but by the time I got around to taking photos it was like October and it wasn't really a seasonally appropriate blog post anymore. 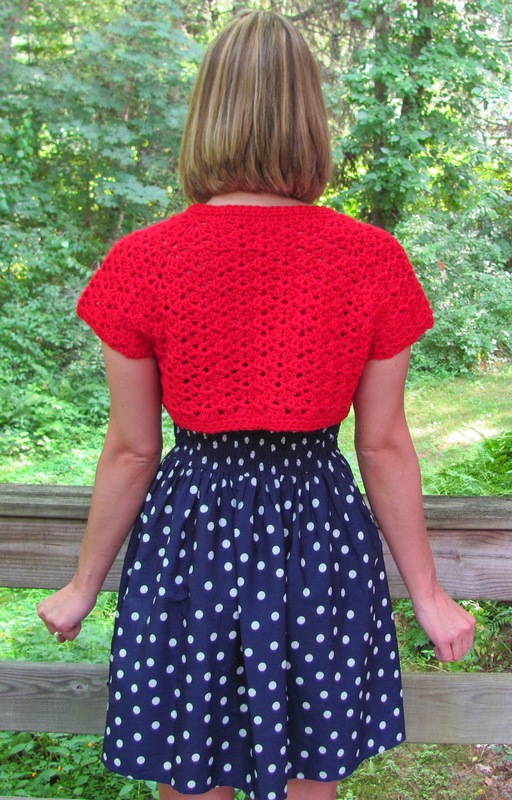 The pattern is Fair and Square by Ruth Maddock from issue 18 of Simply Crochet Magazine, published last May. 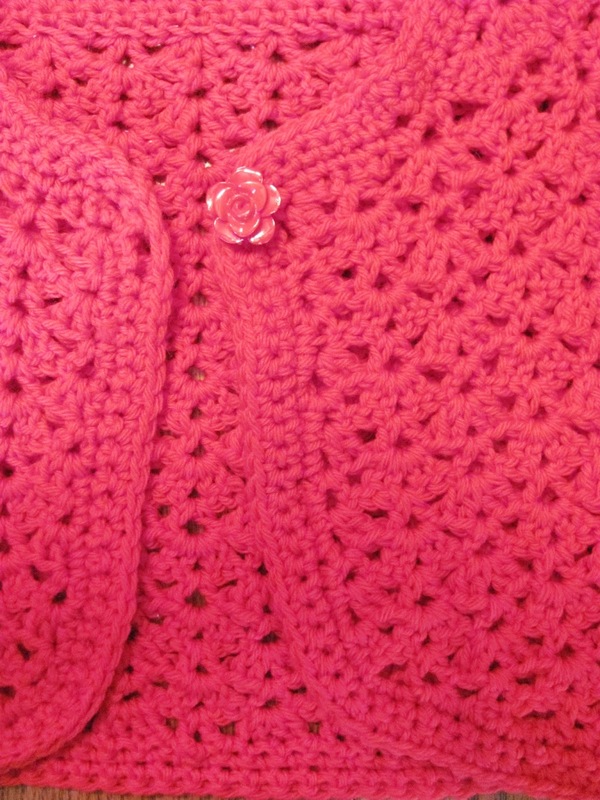 I used Premier Yarns Cotton Fair, a cotton/acrylic blend sport weight yarn I bought at Jo-Ann Fabrics. 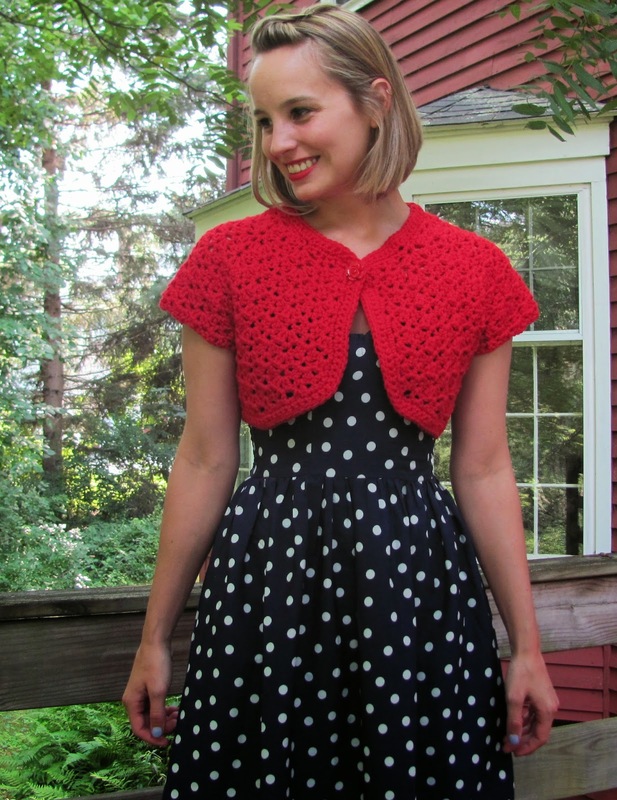 According to the pattern, I was supposed to make a size medium with a finished bust measurement of 37.5". I suspected that 3.5" of positive ease would be outrageous, but I went with it anyway. 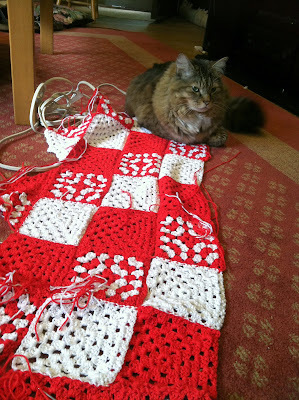 My instincts were right, so I had to remove two rows of squares for a 34" bust, which is the size small. As a result the colors don't line up properly in the back, but hey, whatcha gonna do? There's elastic in the back to keep things snug. 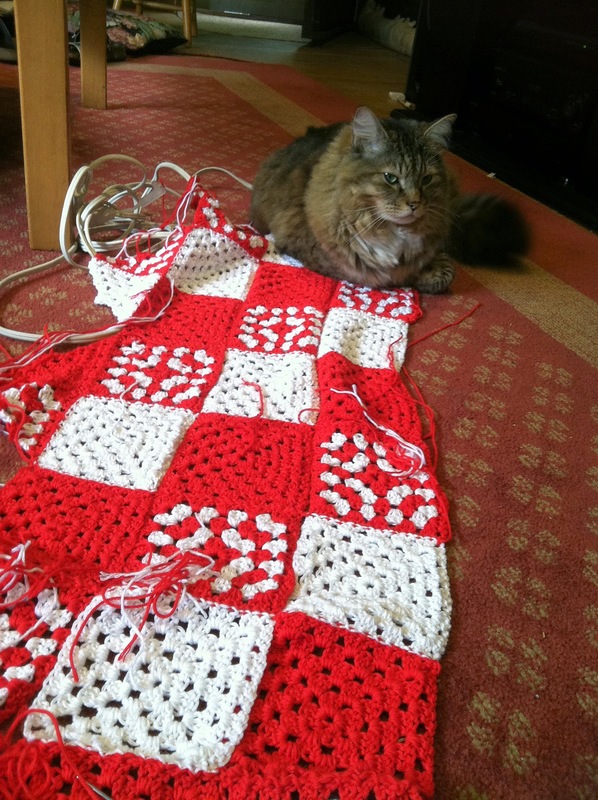 There are some more construction details on my Ravelry Project Page. 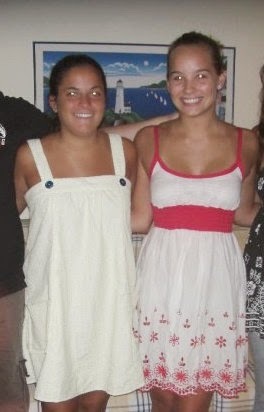 I sewed this dress in the summer of 2008 after my freshman year of college. 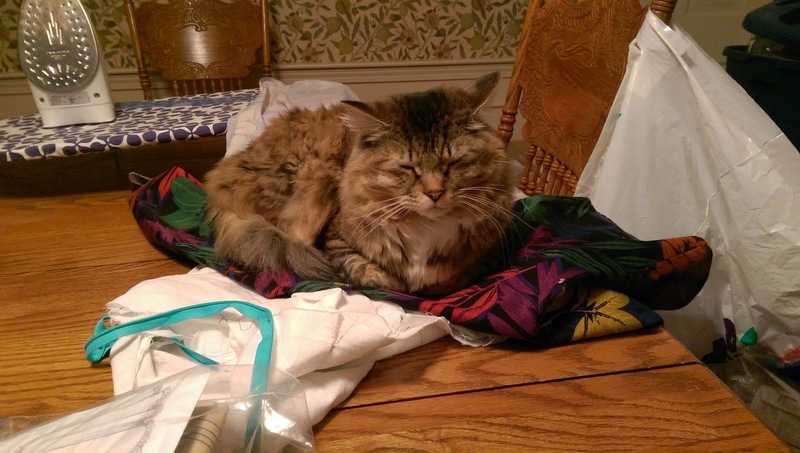 My sewing history: I sewed a skirt in high school (photo at the end of this post), took a sewing class my senior year of high school and sewed a bunch of pajama pants and purses for my friends, I sewed the summer after my freshman year of college, and then picked it back up in 2012 when I moved home to Massachusetts after college and started this blog. I took these photos in May 2014 and was saving this post for a rainy day. I've been working on my wedding dress since March, so I don't have new projects to share. I used McCall's 5617 (who knew Hilary Duff was into sewing?) 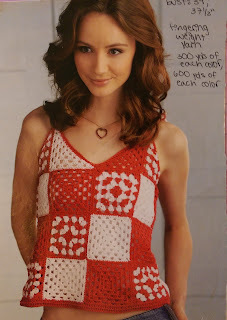 a 2008 pattern which is no longer in print, but there is a similar pattern available - McCall's 6115. I made the size 10. 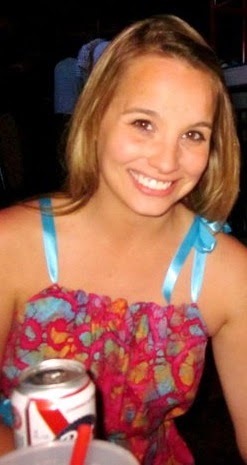 After looking at my photos, this dress looks pretty cute without a belt. I usually wear a belt for fear that it might make me look a little boxy since this dress is pretty much just a burlap sack. This was the easiest dress ever. There are only three pieces: the front, the back, and the tie. 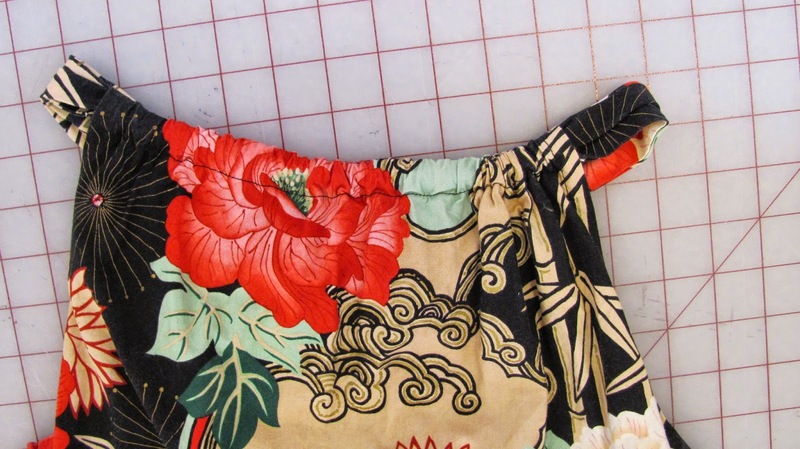 This dress is easier to sew than pajama pants. I used a quilting cotton from Jo-Ann Fabrics. When I started working there in 2012 we still had the fabric...I don't know what that says about my taste level. This Asian inspired print is very different than what I usually go for, and I'm not sure if I like it or not. I have actually made this dress three times. 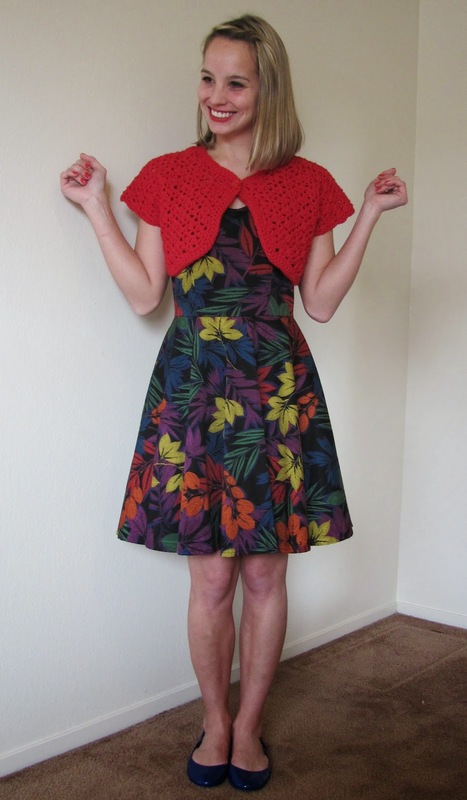 The third time I made this dress was in the summer of 2012, which I have already blogged about. More about the second dress at the bottom of this post. One of the only things I remember about constructing this dress is that it was too long so I made the deepest hem ever. Sox insisted on being in the photo. I wore this dress a couple of times during college. I don't usually have action shots of my outfits on my blog because the first time I wear my handmade stuff is when I'm taking blog photos. But I have photos of this one, so I'm sharing them. 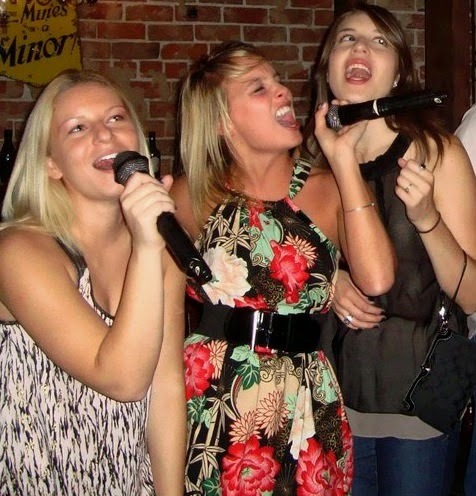 Here's a wicked flattering shot of me singing not-so-sober karaoke. 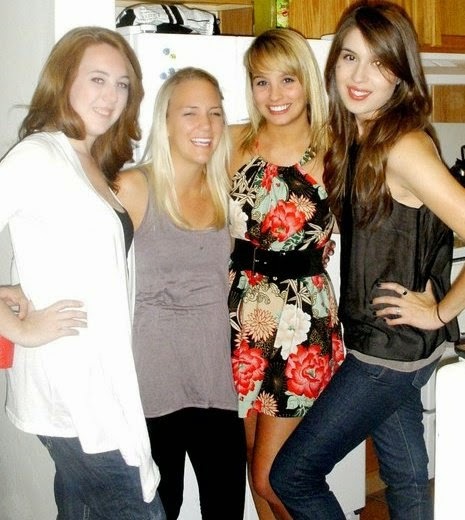 I miss college so much. Without the belt. Not that you can really tell from this photo. 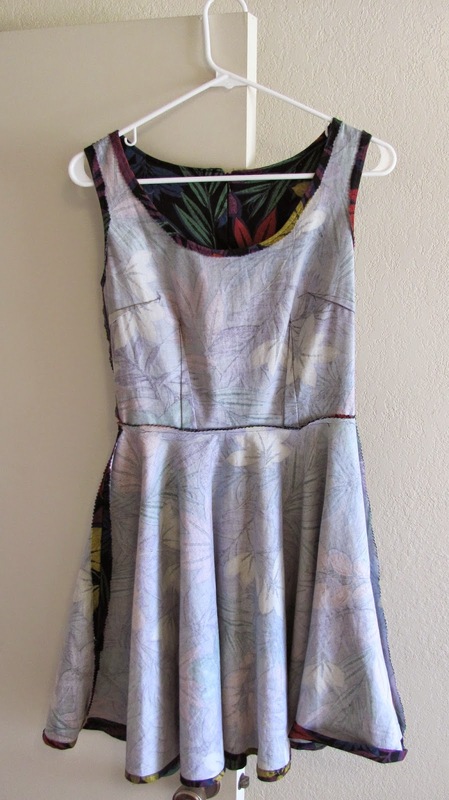 The second time I made this dress, also during my summer 2008 sewing bonanza, I used a quilting batik from Jo-Ann Fabrics. I used a ribbon instead of making the tie out of the dress fabric. I only wore it once: in 2011 during spring break my senior year of college. I love the colors but the print really isn't my style. 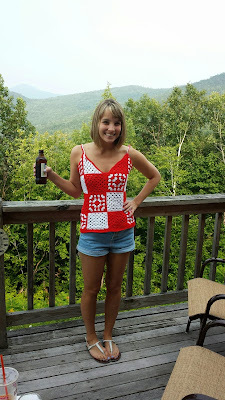 This is the only photo of this dress - excuse the PBR. 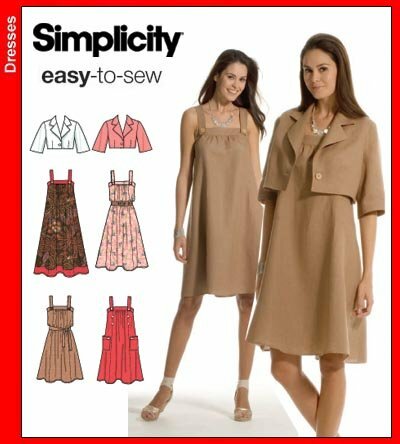 I also sewed Simplicity 3738 (a discontinued pattern) for my friend during that summer. I used a yellow seersucker fabric from Fabric Place - which no longer exists - in Framingham, MA and blue buttons. I underlined this dress with muslin - this is before I knew what underlining was. Pretty impressive, huh? This was probably my most labor intensive project from that summer. It was my first time sewing patch pockets or using interfacing. But no zipper because I didn't know how to insert one and neither did my mother, so she couldn't help me. It's not the most flattering dress and not particularly fashion forward, but it was sort of cute in it's own burlap sack kind of way. 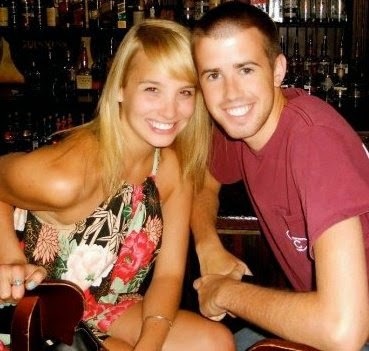 This is an especially horrid photo. 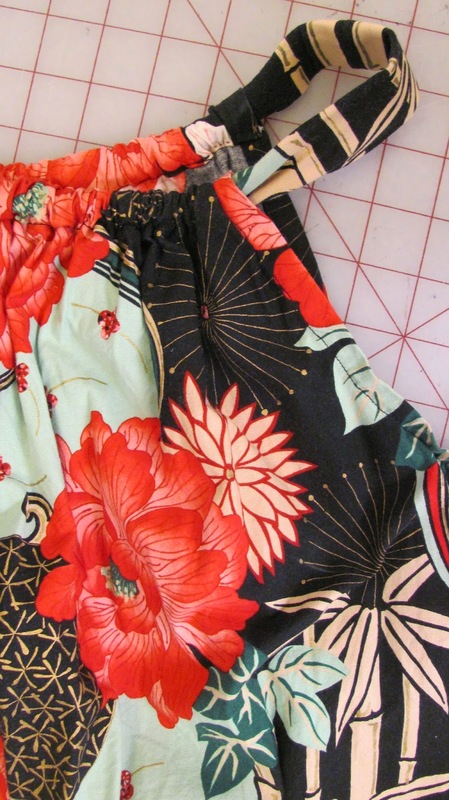 And finally, my first sewing project: a skirt with an elastic waistband. I made this in high school - 2005 or 2006, maybe. 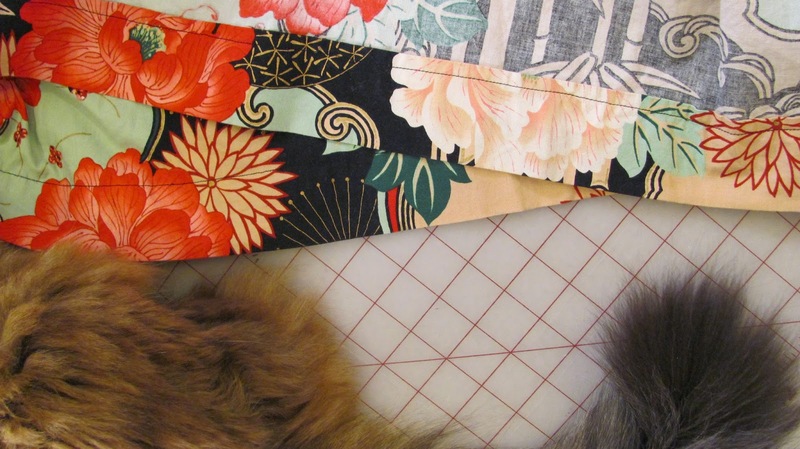 I can't believe I remember this, but the fabric is a Keepsake Calico quilting fabric from Jo-Ann Fabrics. My mother helped me with this one. 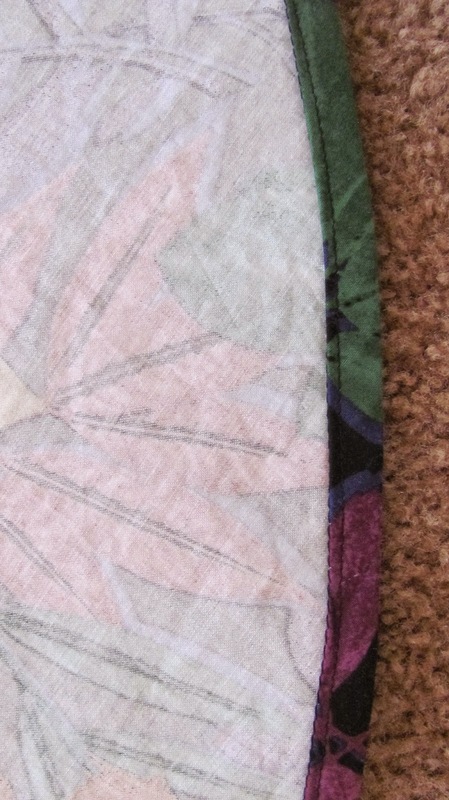 Note: my mother can make an elastic waist skirt and she sewed my bedroom curtains when I was younger (rectangles lined with muslin) and a couple of comforters (rectangles with velcro closures). Pretty much just rectangles. She said my first project in 2012 (a boned strapless dress) was harder than anything she ever made. 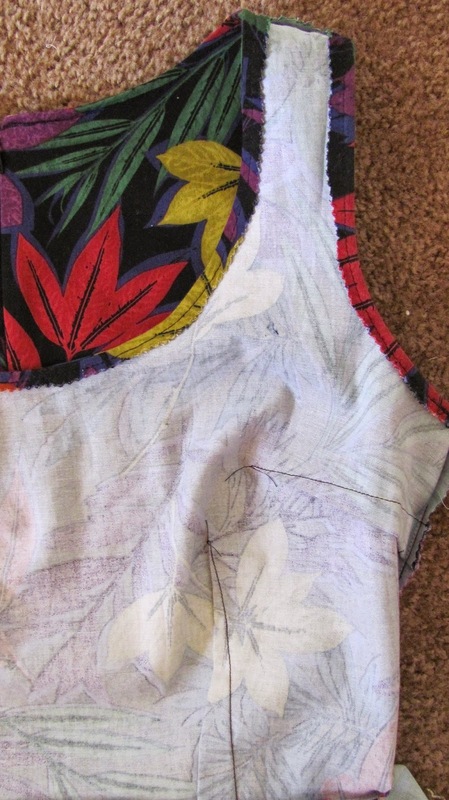 I suspect the Simplicity dress I made for my friend was also more difficult than anything she ever made. I remember when I took sewing in high school and we were making pajama pants and my teacher said not to use flannel because it would be more difficult to work with than cotton (is it, though?) and my mom and I went to the fabric store and I picked out a flannel fabric. She was like, "I thought your teacher said not to use flannel," and I was all like, "Well I know how to sew, so it's cool," and she was like, "...No you really don't." For whatever reason I always thought I knew how to sew. Born with the gift, I guess. 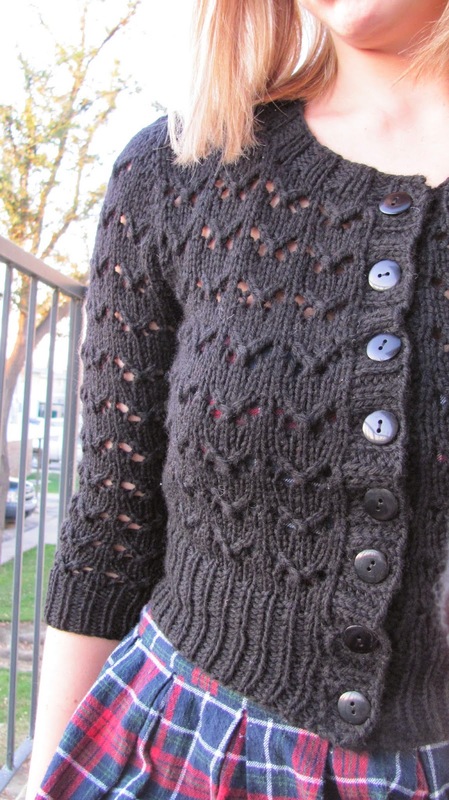 I actually finished this cardigan in June, finally took pictures in July, and then totally forgot to post about it. So these photos were taken back in Massachusetts when the weather was nice and warm and there wasn't 6 feet of snow on the ground. 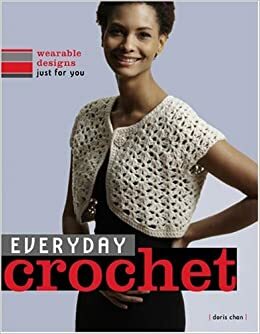 The pattern is the Mei-Mei cardigan from Doris Chan's book Everyday Crochet: Wearable Designs Just for You. It's worked top-down in one piece. 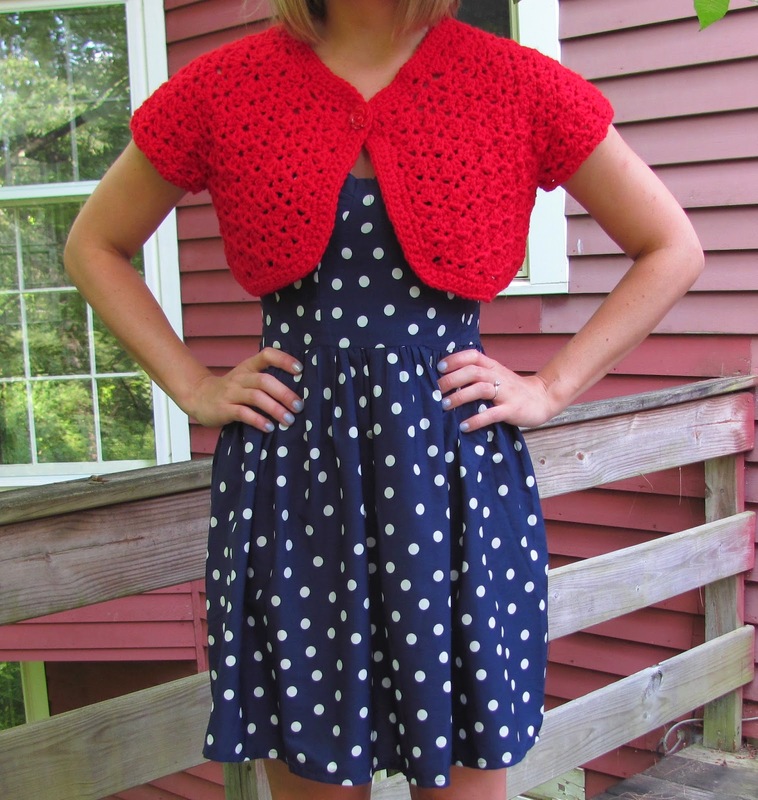 I was inspired by Constance's (of the blog Yarning Over the Days) Red Mei-Mei so I decided to copy her. 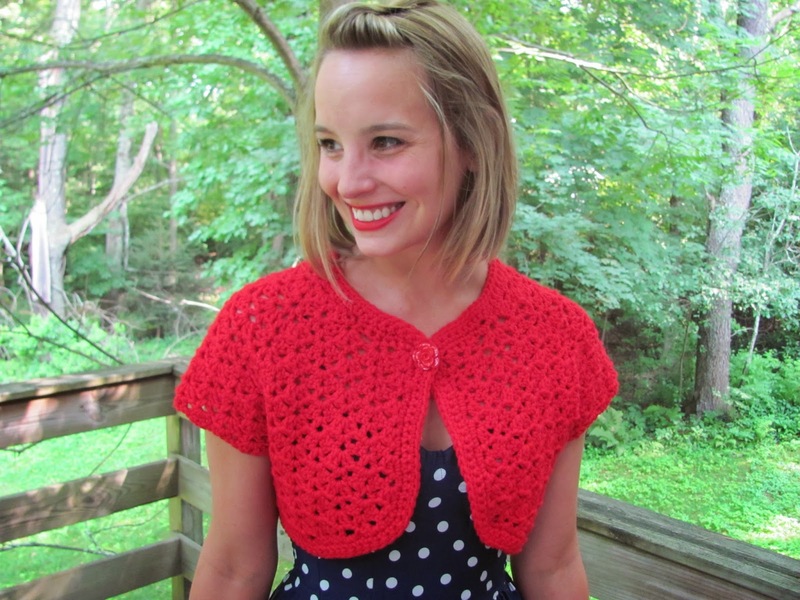 I used Cascade 220 worsted weight yarn in Christmas Red. I bought it online from Webs. I got the button at Jo-Ann Fabrics. I really love the button. This was a very quick project and I have plans to make a black Mei-Mei in the near future. 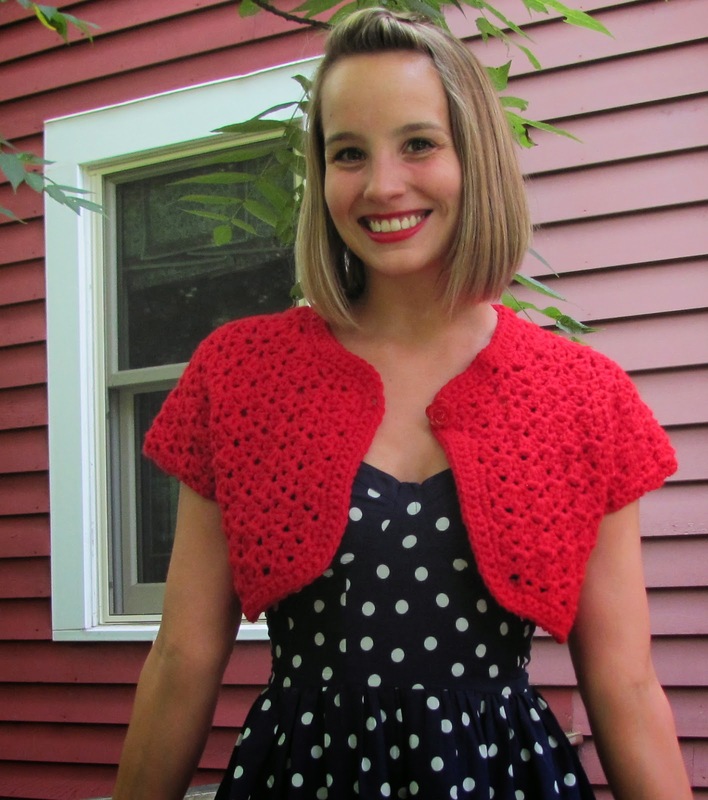 I think this cardigan would look great in a drapey cotton yarn for summer. I'll probably make one someday since it only takes a couple of hours to work up. 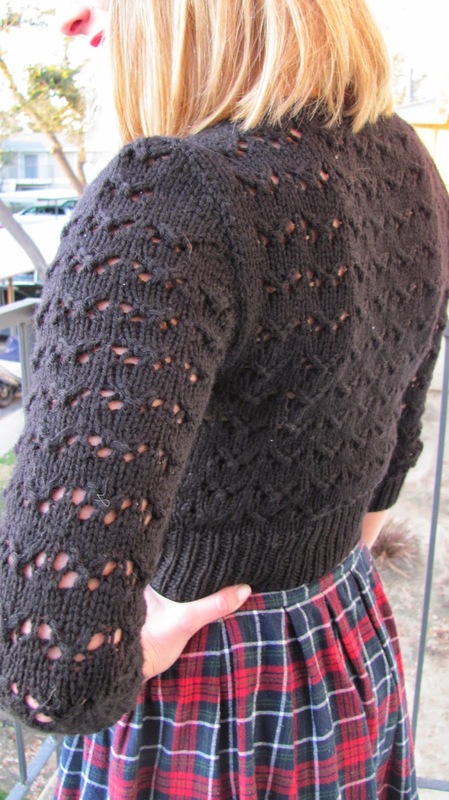 All the construction details are available on my Ravelry Project Page. Sox really loves wool. 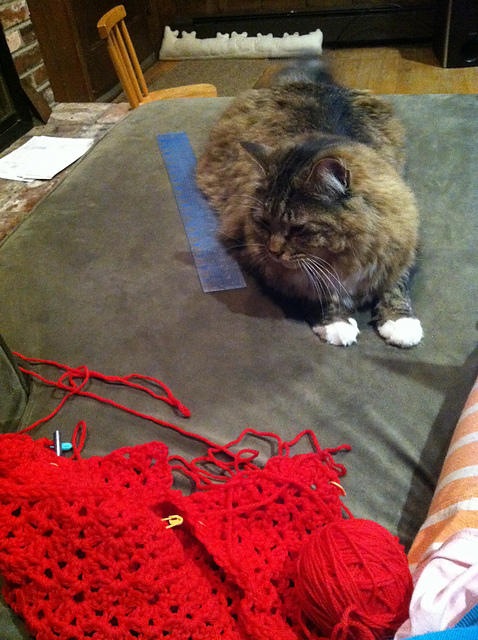 He's always all over my projects made from wool.